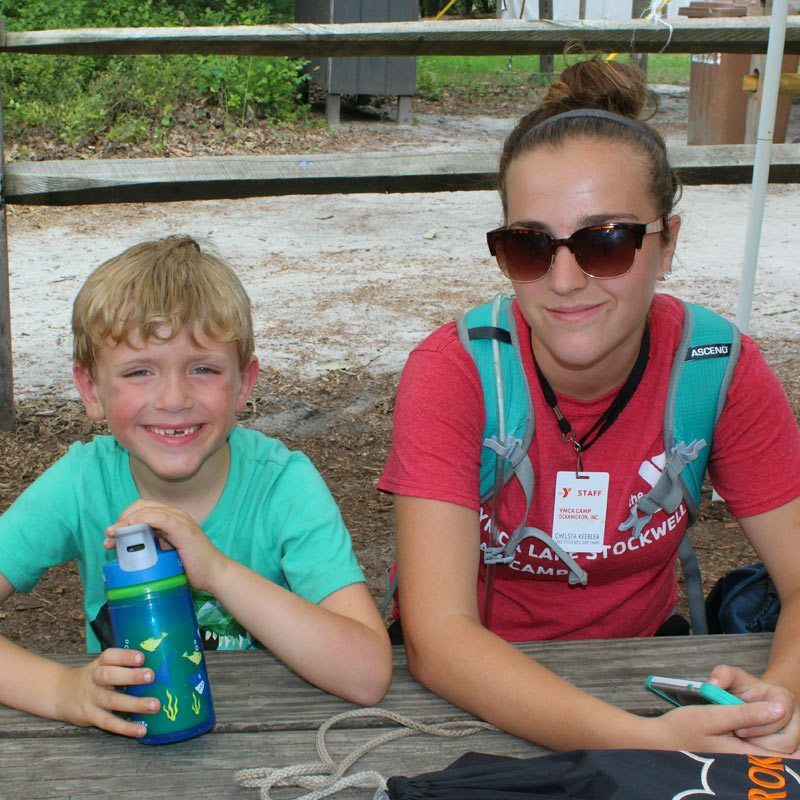 What's life like at Lake Stockwell Day Camp? Get ready to experience acres of fun, adventure and skill-building at Lake Stockwell, our Day Camp for boys and girls, located in a wooded wonderland in the heart of the South Jersey Pines. This traditional co-ed Summer Camp offers theme-based enriching activities, leadership development for boys and girls, group games, sports, fitness activities, hands-on science projects, arts & crafts, music, swimming, horseback riding, archery, boating, kayaking and much more. We also specialize in character development and team building for boys and girls – and we’re technology free, so children can happily unplug from devices while they’re here! Campers spend a lot of time in the outdoors, enjoying pristine lakes, hiking trails, a ropes course, a climbing wall, a nature center and dedicated program areas, in addition to an air-conditioned gym and a craft center. Each day is packed with safe, age-appropriate activities, new friends and personal growth. Interested in one of our Overnight Camps? Want to know more about our YMCA Camp? Click here! Our Explorers Program at Lake Stockwell Day Camp is designed especially to fit the needs of our older Day Campers (12- to 15-year-olds). 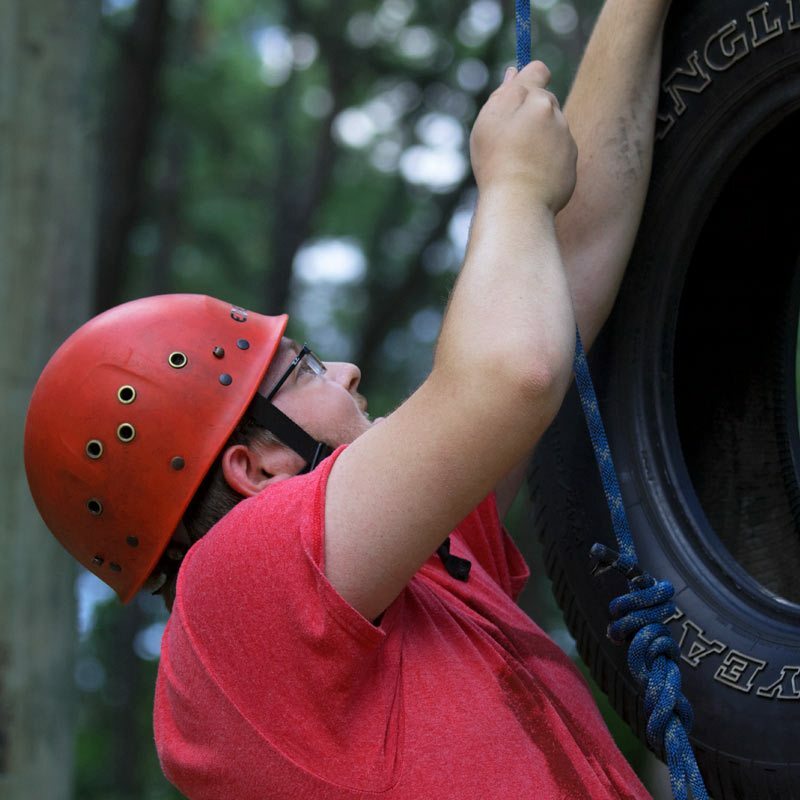 Explorers get to experience all of our regular fun-filled YMCA Camp activities, along with a few more challenging initiatives on our state-of-the-art Challenge Course, where they learn teamwork, communication skills and leadership. Weekly field trips to exciting local destinations and specially designed teen programs for boys and girls round out the Explorers Program. Explorers is a perfect teen program for boys and girls! At Lake Stockwell Day Camp, we offer outstanding leadership experiences through our Leader-in-Training (LIT) and the Counselor-in-Training (CIT) programs, where Campers develop leadership abilities and hone their life skills while still enjoying the myriad of fun and adventurous activities that Day Camp has to offer. Whether you’re a young Camper looking for summer fun or a teen striving for personal growth and character building, our offerings at Lake Stockwell provide a well-rounded experience in a Camp in the Pines where lifelong friendships are forged. The Lake Stockwell Day Camp operates daily from 8:30 a.m. to 4:30 p.m. with Before-Camp Care (7 a.m. – 8:30 a.m.) and After-Camp Care (4:30 p.m. to 6 p.m.) options available. For maximum flexibility, you may choose to attend any combination of our 10 one-week sessions, which run from late June to late August. The cost of day camp may be eligible for payment through a Flexible Savings Account (FSA) if one is offered by your employer, such that pre-tax dollars can be used to cover the costs of day camp. If you do not have an FSA account, you may be able to deduct some of the costs of day camp on your tax return as a dependent care expense. We are happy to provide necessary supporting documentation, and recommend that you discuss the options with your tax professional. Please note that this paragraph only applies to day camp and not overnight camp. Affordable transportation from convenient stops throughout Burlington and Camden Counties. Take the challenge of trying a new sport. Stretch your creative boundaries. Sing around a campfire. Explore nature trails. Learn to work together as a group. Make new friends. Our 800 acres of Camp provide a place for everything you’ll want to do for the summer of a lifetime. Our Explorers program was developed to meet the needs of young teens (ages 12-15) at Lake Stockwell Day Camp. Explorers enjoy traditional camp activities such as swimming, boating, archery, and arts and crafts. However the Explorers' schedule is designed for the opportunity for the campers to choose their activities all day long. 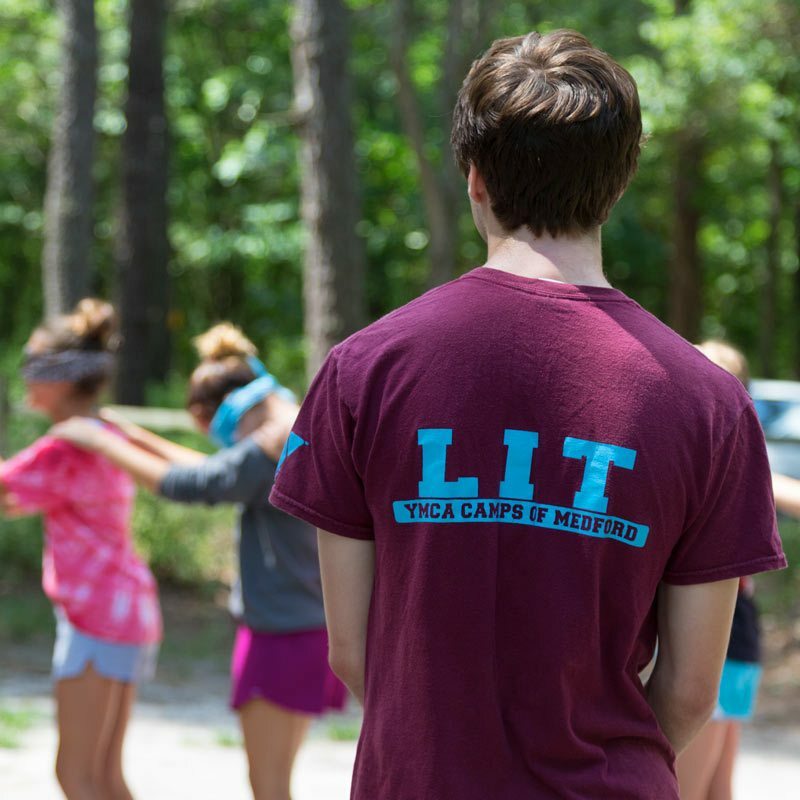 The LIT and CIT programs incorporate the Core Values of Caring, Honesty, Respect, Responsibility, Courage and Inclusion into a unique opportunity to build leadership skills in a camp environment. YMCA of the Pines partners with Suffolk Stables to provide horseback riding lessons for attendees of Summer Camp sessions. These lessons offer the opportunity for developing equestrians to become more confident in their abilities and comfortable within a community of riders. Camp is my home-away-from-home, a magical place where we can be ourselves. Stockwell gives campers the opportunity to make new friends, build confidence, unplug from technology, gain more independence, and so much more! Camp is a magical place where we can be ourselves and also try new things; so don’t be afraid to pick up the bow and arrow at archery for the first time! Our schedule is filled with exciting activities and we even have one period where you get to choose an activity that you want to participate in! Keep up with all the news at Lake Stockwell Day Camp!